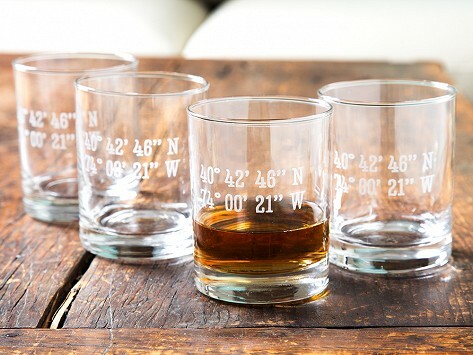 Let these personalized rocks glasses serve as an everyday reminder of a special place. 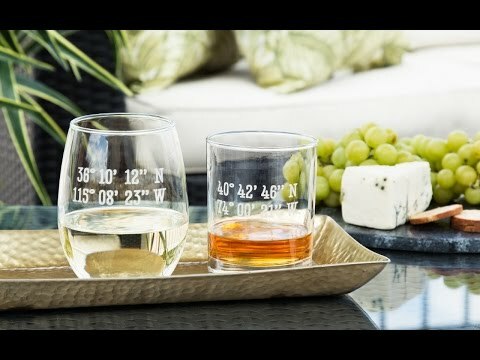 Send Susquehanna Glass Company any location, and they’ll find the coordinates to create rocks glasses just for you. The Latitude and Longitude design is an exclusive collaboration with us that uses sand etching to leave a clean, crisp finish. Each glass is created in the USA with a keen eye for detail and a strong tradition—over 100 years and counting—of craftsmanship. We had taken a trip through the Panama Canal and I got these glasses with the coordinates given to us by our ship's captain. Got these for a young couple who just bought their first home—they really loved them! gave to my daughter for an engagement gift.